It also happens to be the title and subject of Tom’s O’Reilly Media book: IPv6 Address Planning: Designing an Address Plan for the Future. 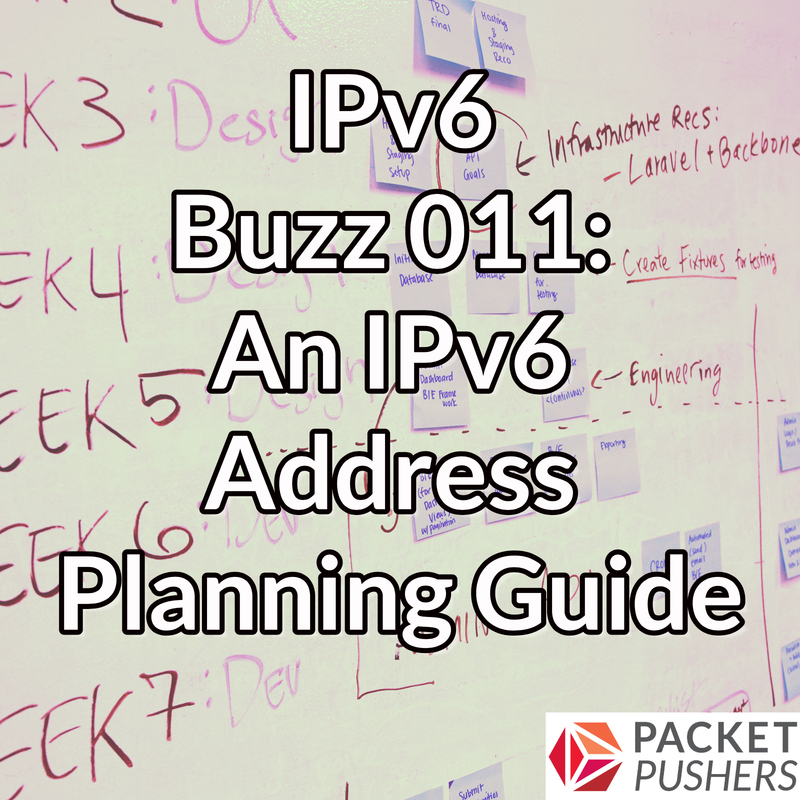 What is “IPv4 thinking” and how does it interfere with proper IPv6 address planning? Is it possible to waste host addresses in IPv6? How difficult is it to obtain an IPv6 allocation from a Regional Internet Registry (and is your existing IPv6 allocation large enough)? What is the proper IPv6 prefix size to configure on a point-to-point link? Tom is a network engineer, architect, and tech author with over twenty years of production internetwork design and deployment know-how. Based on his experiences leading early IPv6 adoption in the CDN and service provider spaces (and as a co-organizer of World IPv6 Day), he continues to leverage his decade-plus IPv6 experience in helping drive large enterprise IPv6 adoption. Most recently, Tom co-founded HexaBuild, an IT consultancy focused on advancing cloud, IoT, and security with IPv6. This entry was posted on Tuesday, September 18th, 2018 at 6:30 pm	and is filed under Podcasts. You can follow any responses to this entry through the RSS 2.0 feed. Both comments and pings are currently closed.